Mix and match pieces of the 90's line and create a luxury retro look. 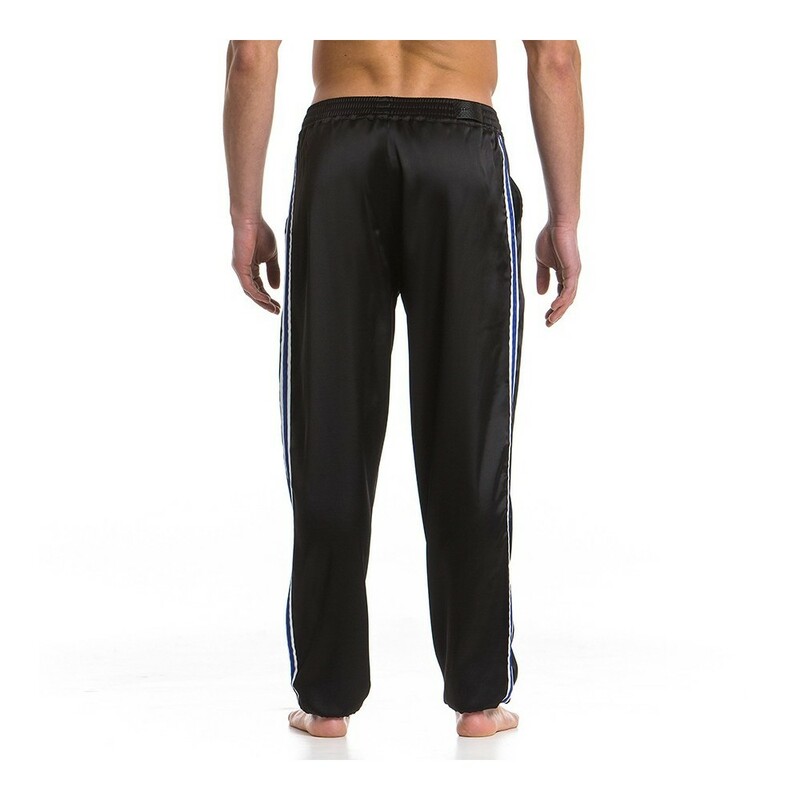 Suitable as sportswear and streetwear, this satin silk look line will label you an accomplished fashionista. 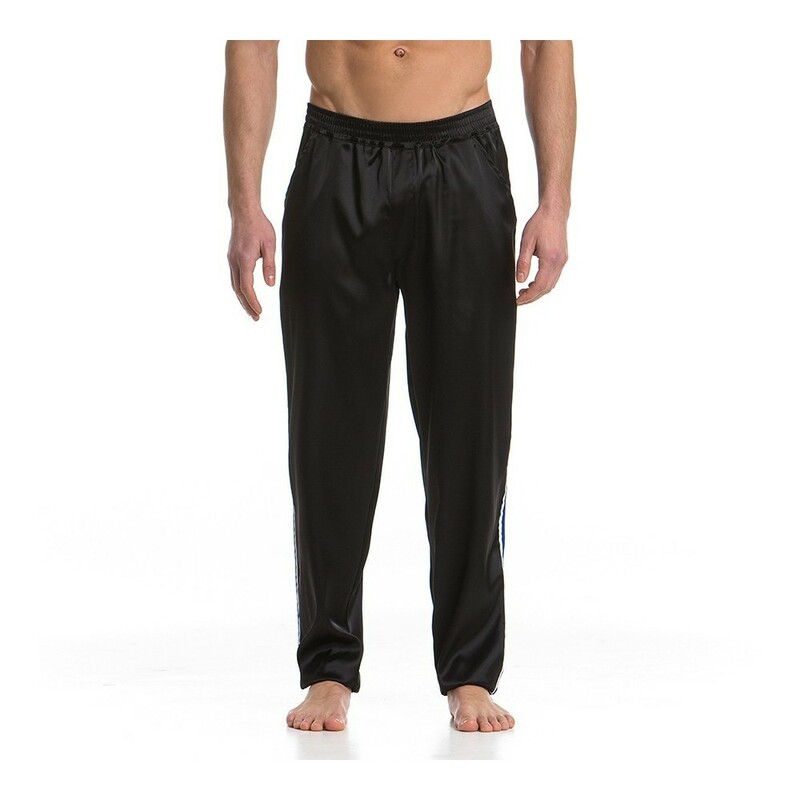 Flattering, straight cut fit pants with chino pockets on the sides and a wide elasticated waistband. 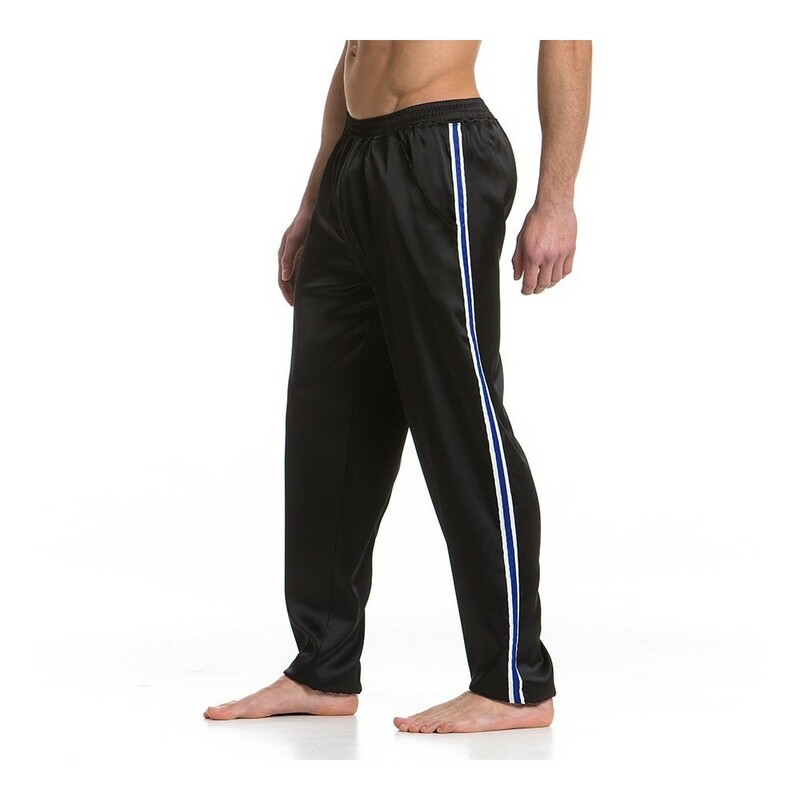 The 90s tapered leg pants have embroidered stripe taping on the sides and fitted cuffs at the ankles. 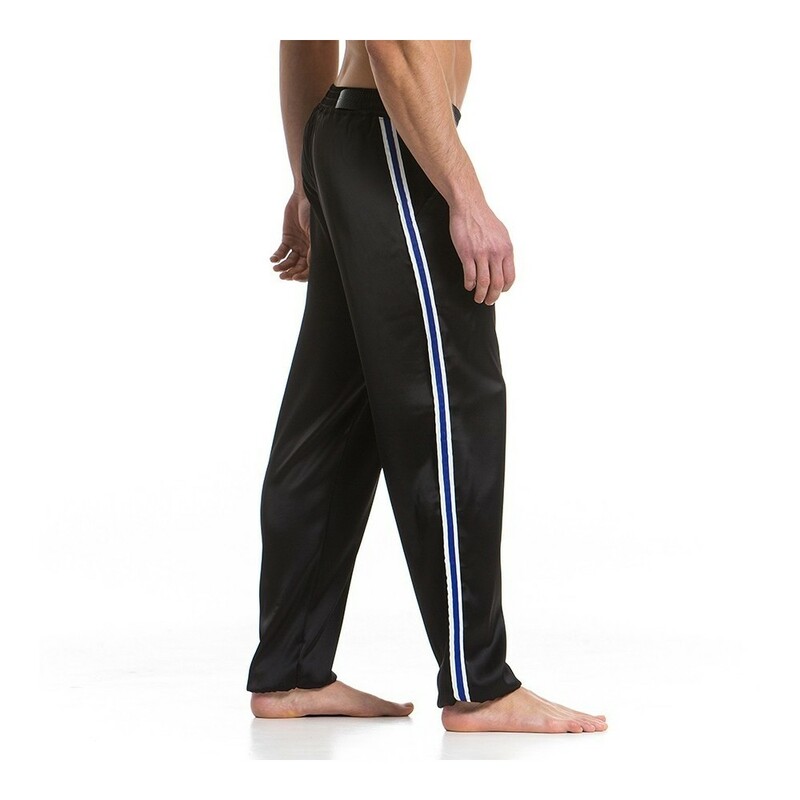 Made from elastic satin silk look fabric this versatile pair of pants is the perfect fit for athletes, sportsmen and streetwear fashionistas.